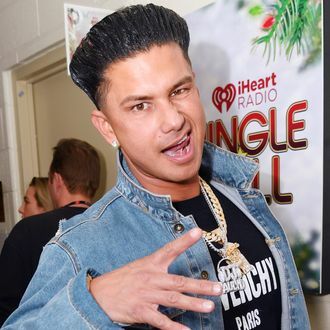 Pauly will be joined by Kailyn Lowry, Cara Maria Sorbello, Kam Williams, Leroy Garrett, Nicole Zanatta, and Derrick Henry, all of whom will be looking for love among … clones. Hopefully none of the girls on Double Shot At Love or Game of Clones watch the opposing show or read anything on the internet about it! We’d hate for anyone to find out their maybe-boyfriend had a side clone girlfriend and have their heart broken. The series debuts on February 21.